This sale has expired. Please check for latest specials and sales. Contact us today by phone (714) 953-7663 or fill out the form below to request a free quote. 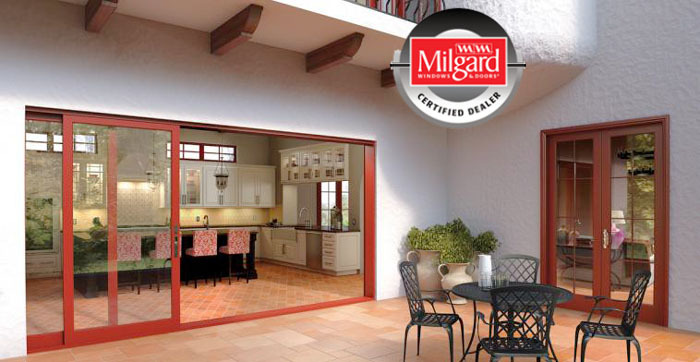 SPECIAL LIMITED TIME OFFER on Milgard Patio Doors and Moving Glass Wall Systems. HURRY! Sale ends on Feb 28, 2018. A New View Windows & Doors is an authorized Milgard dealer. Don’t miss out on Milgard Patio Doors Anniversary Sale. Check out this special offer from Milgard and receive Amazon Gift Card when you purchase one or more Milgard Patio Doors or Moving Glass Wall Systems during their 50th Anniversary promotion which runs through February 28, 2018. (See promo details below). HURRY, Milgard Patio Doors Anniversary Sale ENDS Feb 28, 2018. Fill-out form to get a FREE Quote on patio doors, moving glass wall system or new windows. Or, feel free to contact A New View Windows & Doors Customer Service Department 714-953-7663. Enter Message: Other Details, Services, Brand Preferences, Products needed. Enter Answer 15+6=? (required) to help prove you are human, not a computer bot. Thanks. Thanks. We'll review your request and be in touch soon to schedule your appointment for a free on-site estimate.